So many times, the school curriculum doesn't allow enough time for practice. Our worksheets offer practice, they're not merely quizzes. Teaching reading and the math facts is easier with our printable fifth grade worksheets that offer common sense practice. Many elementary worksheets are simply quizzes. Build or supplement your own elementary education lesson plans from interesting fifth grade ideas that offer the basics first. Fifth Grade is such a growing time with other subjects that students can fly through the basics, even if they need some time for remedial work. 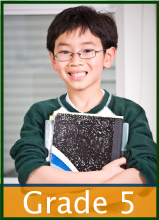 Most students are familiar with the basic Math facts as they reach the fifth grade. If they are not, reintroduce them. Fifth grade is a good time to see the connection between multiplication, division, fractions, percents,decimals, and money. Learning about formulas can be an adventure with the right perspective. They show how numbers can "work" for you. Fifth Grade is frequently when reading begins to be fun and children appreciate reading the next book in a series as with the Laura Ingalls Wilder series. Some children gobble such books in second and third grade, but most children catch up by fifth grade. This is also the year that many children gain more from their historical and scientific reading. Reading is important in other subjects, too, even Math because there are more word problems than in fourth grade. Reading happens in every subject and does not often have to be its own course from fifth grade on, since we read in order to learn in most aspects of our lives. One of our favorite reading comprehension exercises is to instruct the students to create their own questions from their reading material. This may seem simple but it is one of our favorite reading exercises since it can be applied to any books or reading passages. This can also be written or from oral reading passages. Teaching reading comprehension begins with making sure the student can read and simply giving the student time to read interesting books. Once they look at a book from the viewpoint of asking the test questions, or perhaps an interview, they begin to see the "how" of comprehending the material. Asking questions is a fabulous help. For teaching reading skills, I have found no better book than The Writing Road To Reading. It has great reading lists, too. The scope and sequence in the appendix in the back show the skills to be mastered in 5th grade and which pages to use in the program. If you do not need so many technical resources, a short cut is offered in Sound Beginnings by Julia Fogassy. The best way for students to advance in reading skills is to read grade level or higher books. Historical autobiographies like the Laura Ingalls Wilder series and The Diary of a Young Girl by Anne Frank can reinforce their view of American and European history. See more 5th grade level books below. 5th Grade is a time when your students' reading comprehension can be improved by offering independent reading time in a quiet place. Teach them to re-read only difficult phrases out loud as needed for comprehension. We believe that once a student has worked through several complicated books well, that he is able then to read anything after that. This is a giant boost for confidence! Remember, too, that writing is a great way to improve reading skills. 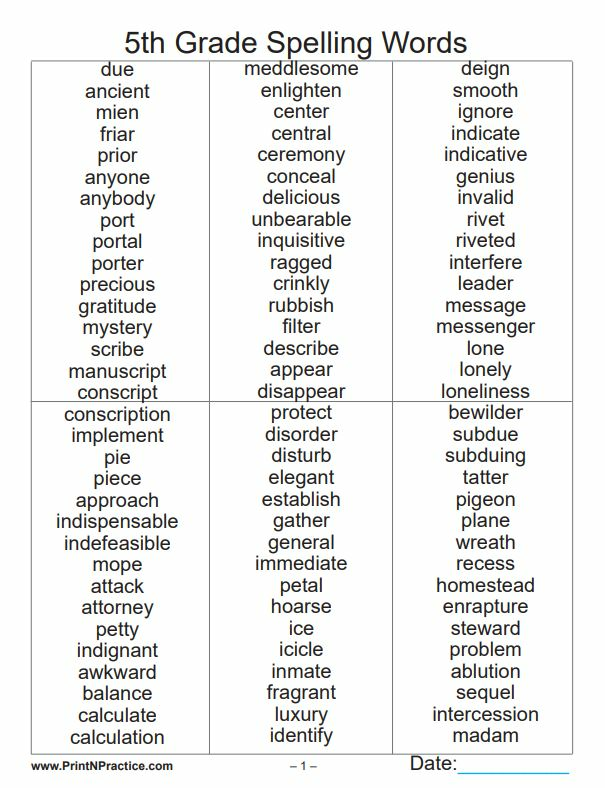 Writing makes one consider each word in a way that makes words easier to recognize when reading. Copywork is handy here, too. Even handwriting practice helps reading comprehension since the student focuses on the individual words. Saying difficult words out loud helps with decoding, too. Copywork is not baby work. Laura Ingalls Wilder wrote from a book to a slate and college students take notes all day long. Writing does aid both reading skills and memory retention. Our fifth grade worksheets download for spelling has two parts. The one download includes the 9 page reference list of all the Spelling words and the other is a 122 page download that offers the same words on copy work Spelling lists as well as the 9 page references. Your students have the correct spelling of the words in front of them so that they can copy the right spelling three times. I like to print the reference sheets on card stock for easy reference and so that they last in my binder through the years. The reference download can also be all that you print for your students if they have good copy skills. Personally I prefer to hand them the copy sheets so that I'm sure they have the correct spelling the first time or times that they review their words. Phonics and Spelling rules are a giant help in learning to read new or long words. Check out the Spelling and Phonics rules here. When children learn the rules they learn "how" to learn new words without having to memorize each new word individually. I know one student who exclaimed, "That's how you do it! I thought you had to memorize the whole dictionary!" Let's just say that both of us were greatly relieved at that very moment. I couldn't imagine what she must have been fearing during her previous school years. After this it is good to offer the same Spelling words as Vocabulary words. If they don't know the meaning of many words, students can easily misspell them for lack of choosing the right word. Having the children write sentences and short essays is a great way to build spelling and vocabulary skills. 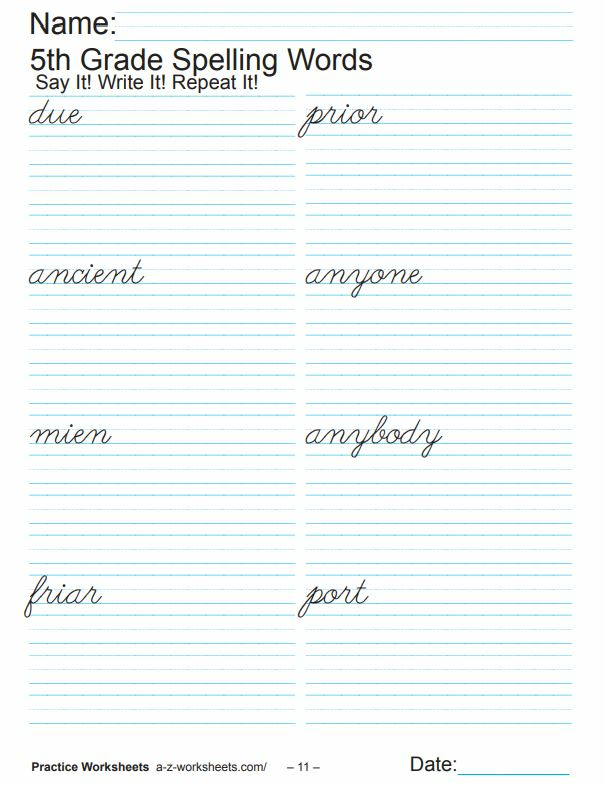 One of my favorite writing systems is Karen Newell's Write On. She has wonderful ideas for creative writing and fifth grade writing prompts. She has a system that will take your students on through high school. Thank you for visiting our printable fifth grade worksheets page and for sharing!